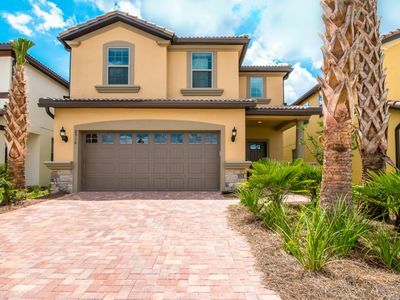 This beautiful rental comfortably accommodates 12 guests inside a great resort community: Paradise Palms. 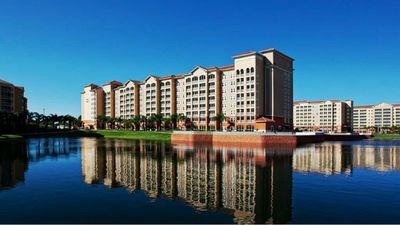 It’s a convenient location to access shopping centers, theme parks, and restaurants. 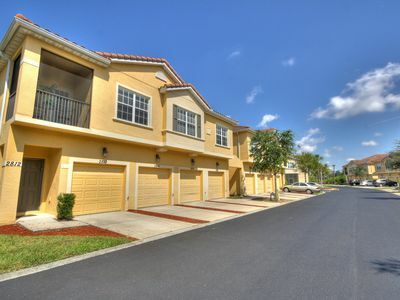 You will love the spacious and fully furnished 6 bedrooms and 5 bathrooms. 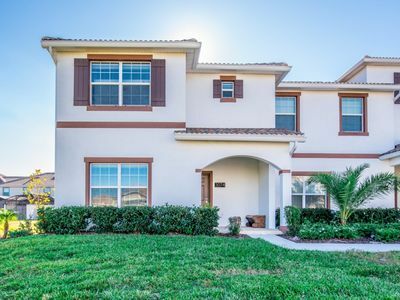 You will feel as if you are at your own home with the fully equipped kitchen with all cooking utensils, full size refrigerator, dish washer and microwave for a wonderful home cooked meal or just take advantage of local restaurants to deliver to you while you relax. 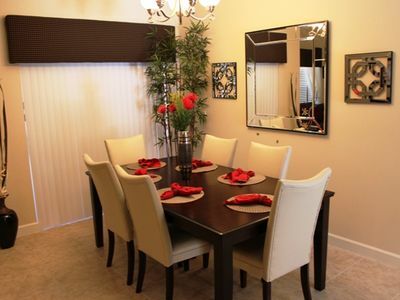 Enjoy all the luxury and amenities. 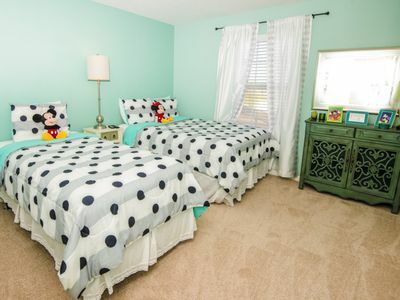 The laundry room is equipped with washer and dryer. 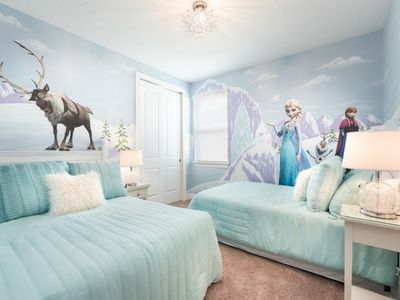 It includes an ideal place to gather kids to watch cartoons play video games or use the wireless internet connection. 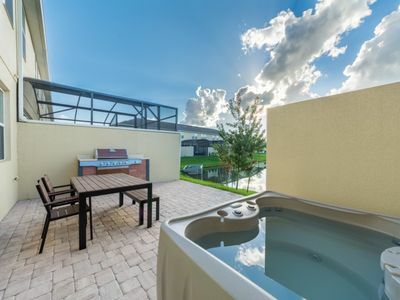 Even if you decide to stay at home and take a break from Orlando parks and shopping, nothing will be better than to take a dip in the private swimming pool or just plan a BBQ. 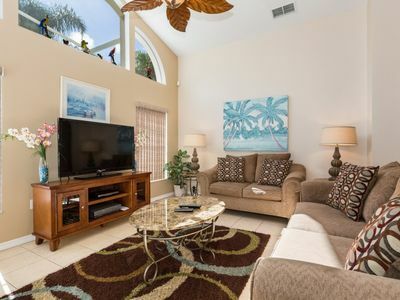 Looking for a group vacation in Paradise near Disney? 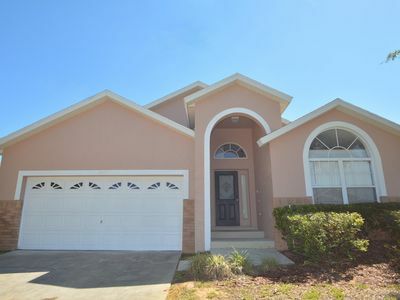 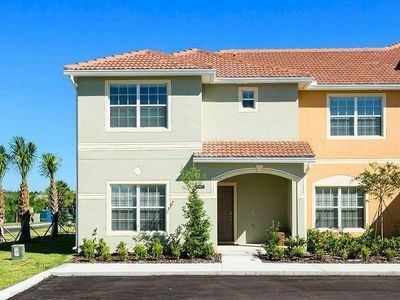 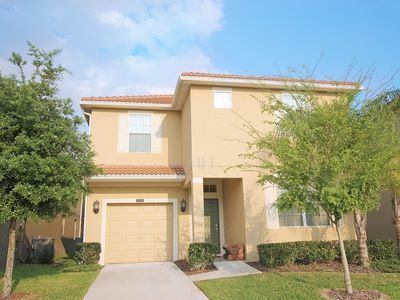 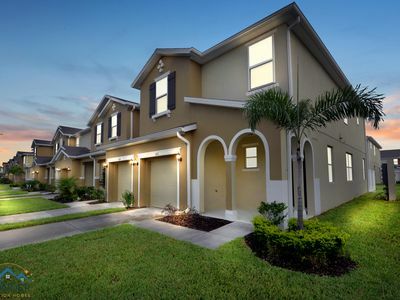 This lovely and spacious house is a 10 minute drive to Disney Parks accommodates up to 12 guests, features a private pool (heating optional), a bonus room and other great amenities. 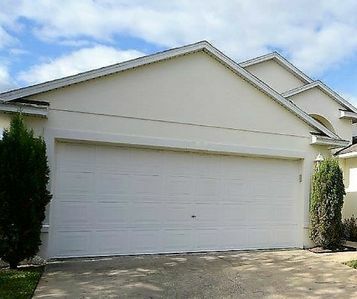 Beautiful 2 Bedroom Condo in Oakwater Resort - Just 2 miles from Disney World!